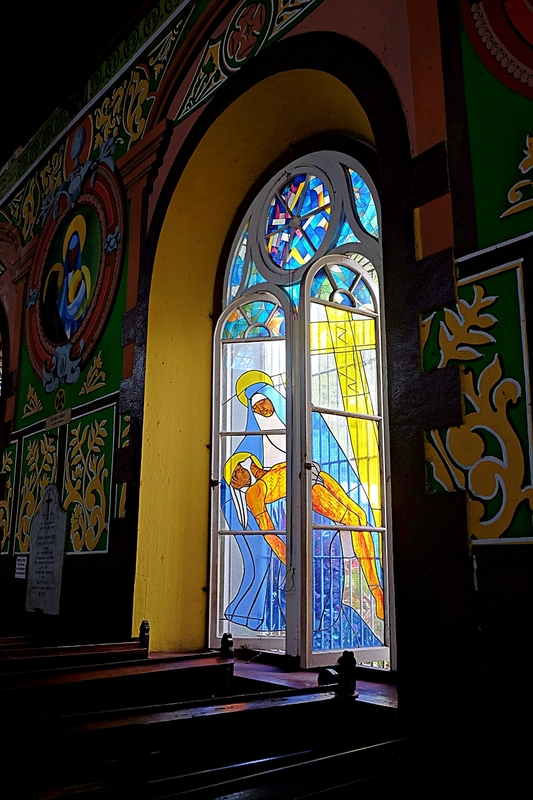 Castries, the capital city of Saint Lucia, is not known for being the highlight of a day out, but if you are prepared to look beyond the cracked pavements and dusty buildings, there are real hidden treasures to be discovered. 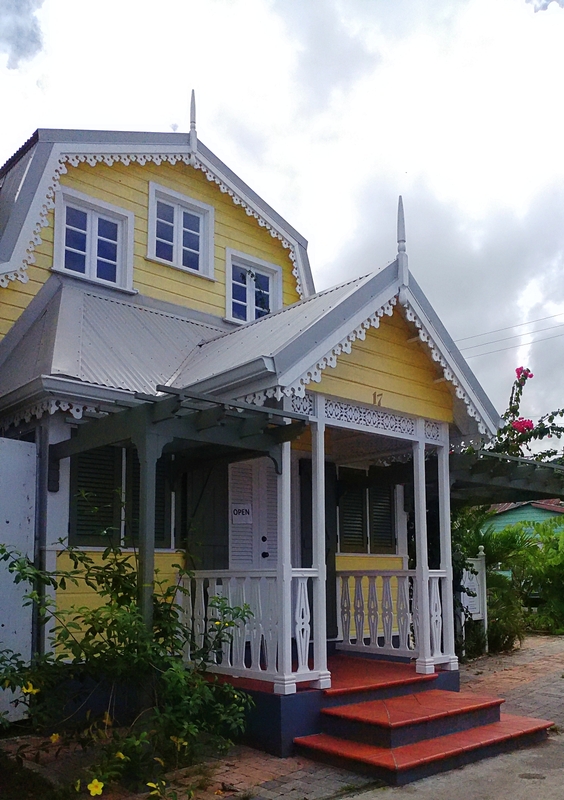 One such is Walcott Place, the beautifully renovated childhood home of the Walcott brothers, world famous Nobel Laureate for Literature 1992, Derek, and his twin brother Roddy, author of many wonderful plays and musicals recounting Caribbean life. Located in what locals call ‘the back of town’ on the Chaussee Rd’s southern end, the tiny house is beautifully reconstructed to replicate how it would have looked during the brother’s childhood in the 1950s. This area of Castries had become known in recent years, for gang crimes and let’s put the disclaimer in here now, it’s still a rougher area of town, so when you visit, be sensible. 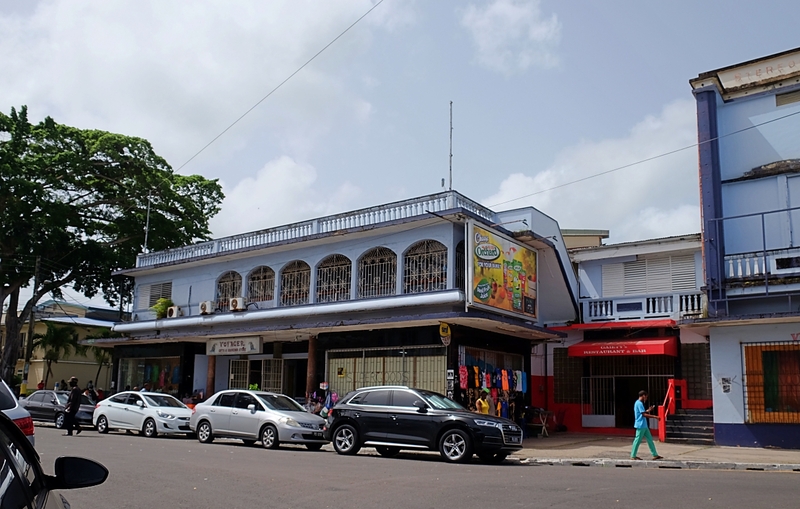 If you start at La Place Carenage Duty Free Mall or the Castries Market, you can follow a route that takes you on a walking tour of Castries, so let’s help you find those Castries Hidden Treasures. 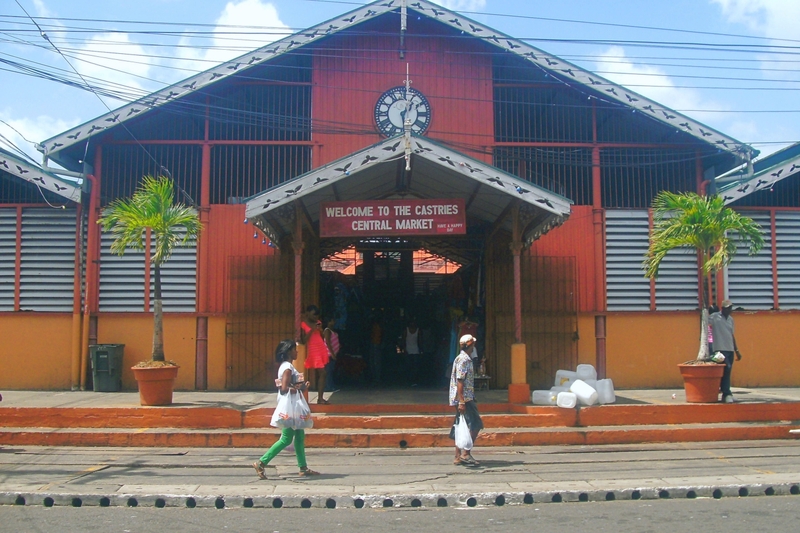 Castries Market itself is an historic building, built in 1891 to sell food, and now a bustling souvenir and craft market. Efforts are being made to increase the number of locally made goods sold here and you will find some beautiful mats, pottery and ‘madras’ cloth clothing and accessories as well as the traditional dolls and wood sculptures, wirework and some local soaps as well as the more familiar mass-produced souvenir items. 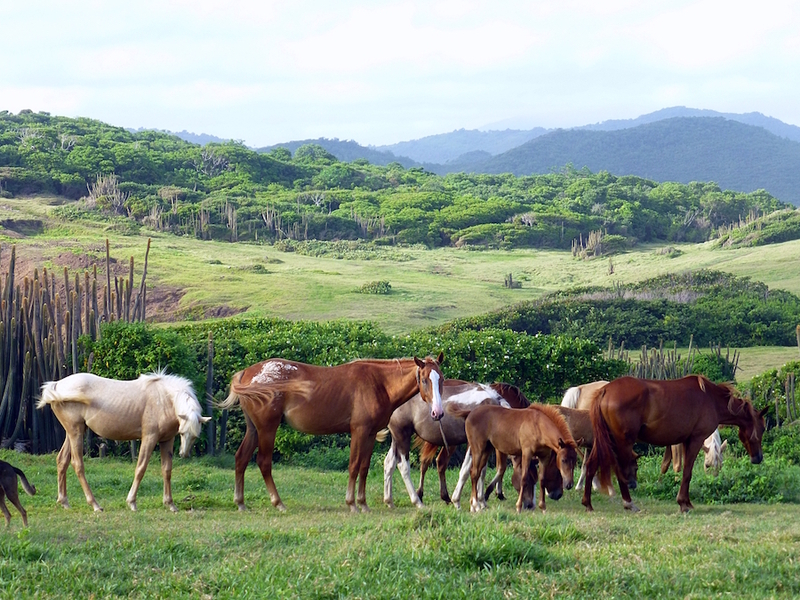 Definitely worth a visit, but we’re going to guide you elsewhere…so, let’s move on! Head to your right down Jeremie St to Bridge St – Castries’ ‘main street’ where historically, the wealthier residents lived. 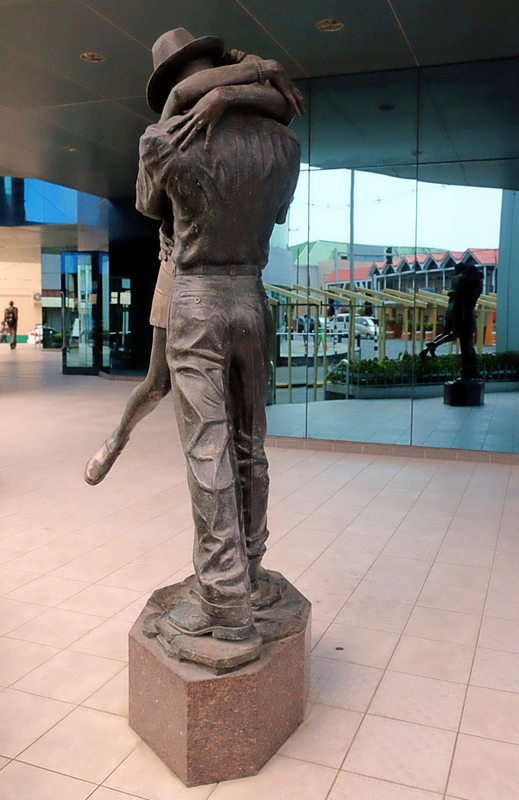 Today, outside the 5-story glass Bank of Saint Lucia building, you’ll see Ricky George’s sculpture of a couple in an exuberant embrace as though just reuniting. Entitled ‘The Aftermath.’ Ricky, a graduate of the Jamaica School of Art and Johnson Atelier Technical Institute of Sculpture in the USA, says this sculpture is exploring the coexistence of man and woman. This free standing monumental sculpture is the first of its kind on the island. Believe it or not, this is the only public art sculpture in the island! 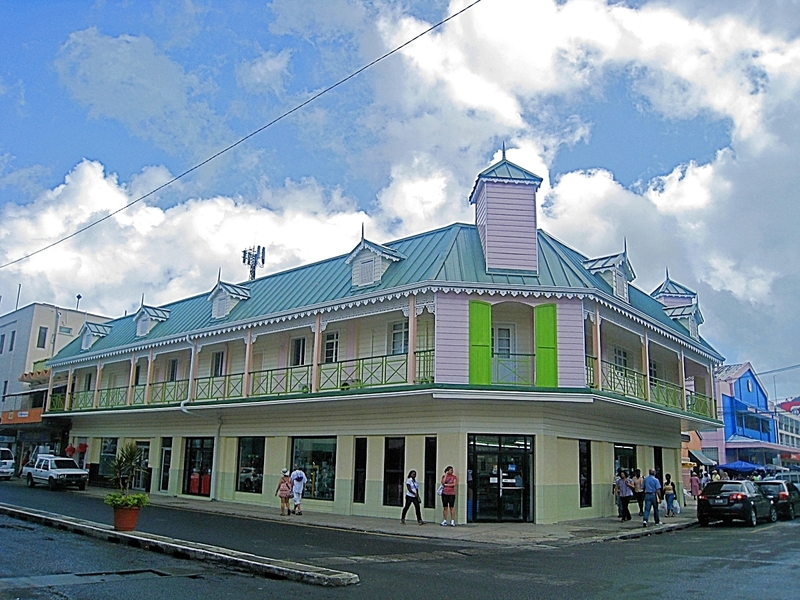 Turn left into The William Peter Boulevard where for many years, Carnival parades took place. As you turn in, you’ll be passing the RJ Clarke Building which was damaged by fire in the early 2000s but has been rebuilt in a style reminiscent of historical buildings. 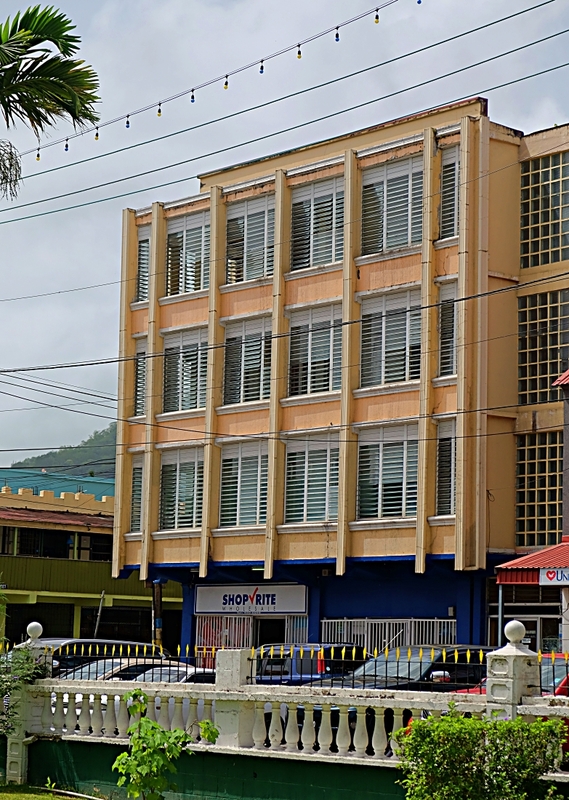 The William Peter Boulevard was built after the 1948 fire that destroyed Castries, and in very recent times, much of the buildings here have been modernized again. But on the right at the far end, you can still see the old Gaiety Cinema building which now houses various shops. Many of us spent our youths there watching Kung-Fu and Indian movies! And the Blue Coral Mall used to house M&C Ltd and then JQ Charles which were the island’s only department stores. 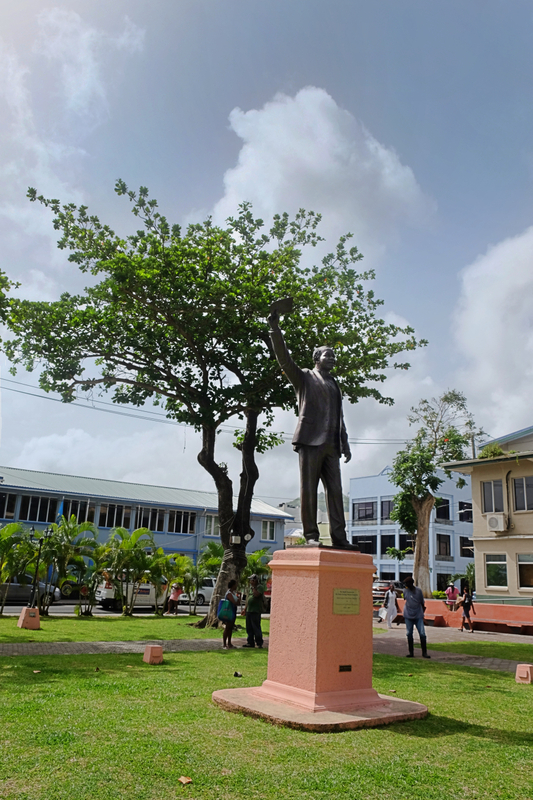 At the end of the Boulevard you’ll be facing Constitution Park where you’ll see the statue of the late Sir John Compton, fondly called The Father of the Nation. Sir John was Saint Lucia’s first Prime Minister after independence in 1979 and was at the head of the government for over sixteen years. This statue was also sculpted by Ricky George. Constitution Park, so-named in 1967 in commemoration of Saint Lucia becoming an associated state, has historically been St. Lucia’s ‘Hyde Park Corner’ where people would gather to discuss the life, politics and the state of the nation. To the left is the House of Parliament and to the right, Courts. 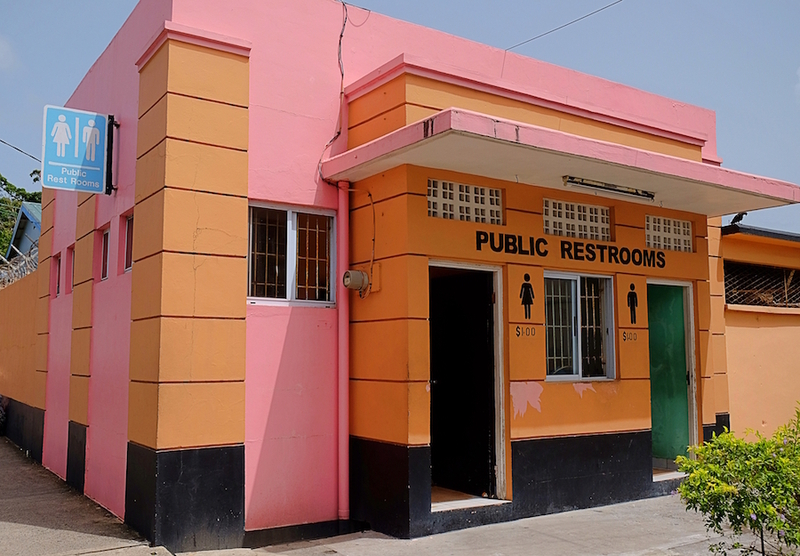 Ok, many people still complain about the lack of Public Facilities in Castries and just in case you need to go…today I checked one out for you: High Street – just 20 yards up on the left – EC$0.50 – Decently clean, doors don’t lock though, but you get paper, soap and running water for your money. I think that’s great. 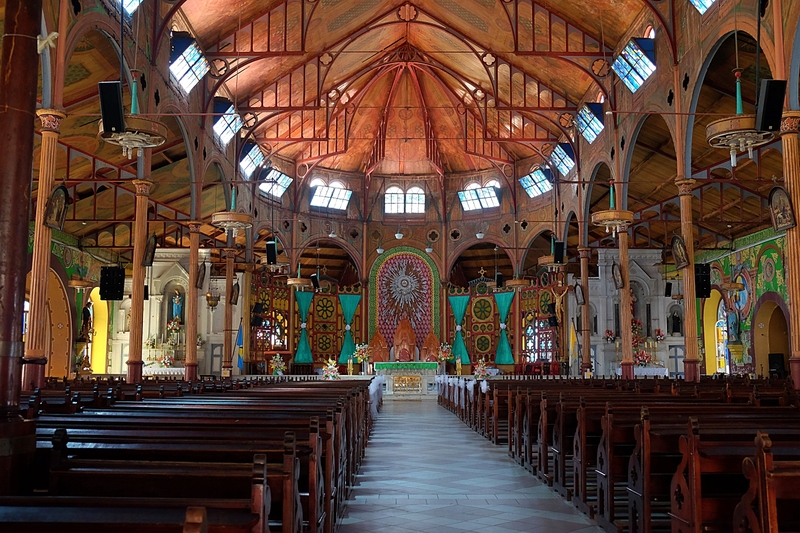 Turn right along Laborie St. and when you get to the corner of Micoud St you will no doubt either be looking at the beautiful façade of the Cathedral Basilica of the Immaculate Conception to the left or the inviting cool tree-covered Derek Walcott Square to the right. However, the unassuming building on your right is of Caribbean architectural interest: Victor Ignatius Patterson, Jamaican architect who taught many of the region’s modern architects, built this and several others around Castries in the 1960s including one on Brazil Street, directly across the way. The one you’re standing by has been home to Cable & Wireless Ltd and more recently, UNESCO and the Ministry of Education. 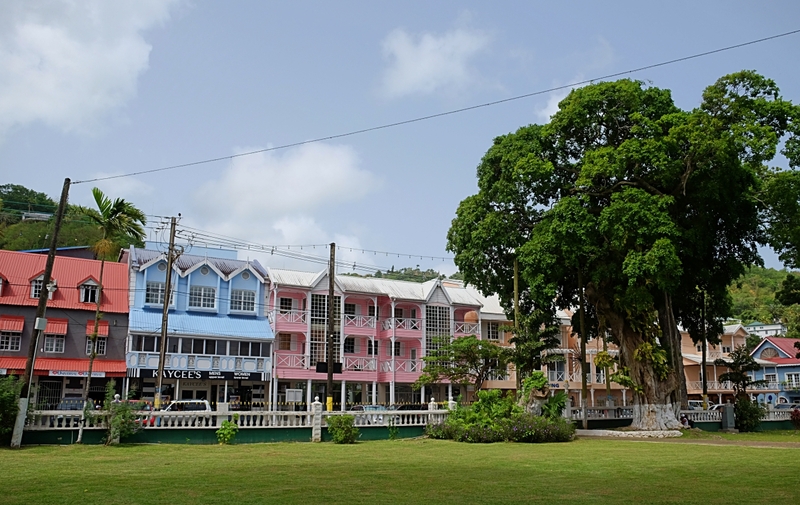 Let’s visit ‘The Square’ next… historically called ‘Columbus Square’, based on the claim that this spot was where Columbus discovered Saint Lucia on December 13th – feast day of Saint Lucie/Lucia. 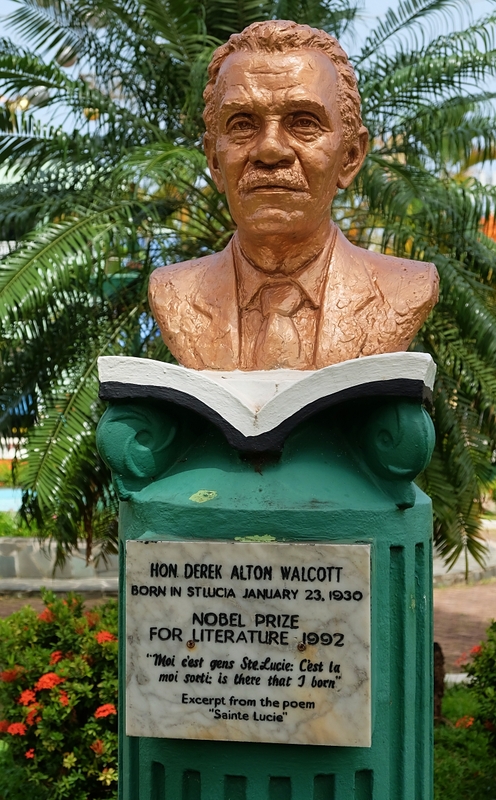 But it is highly disputed whether Columbus ever set foot in Saint Lucia and in deference to the accomplishments of a true son of the soil, in 1993, the square was renamed the Derek Walcott Square in honour of his having been awarded the Nobel Prize for Literature in 1992. 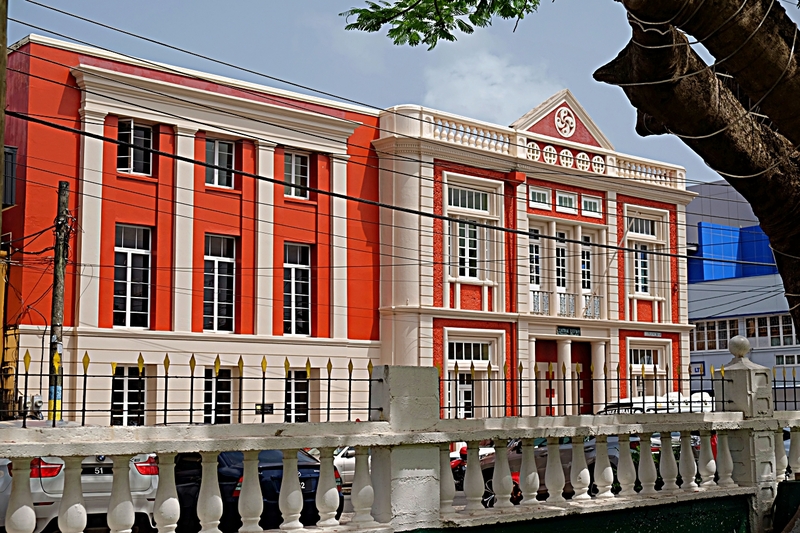 On the opposite side of the square to the Cathedral, you’ll see an elegant red and cream painted brick building, this is the Castries Central Library. The cornerstone for the Library in Castries was laid by Mrs. Davidson-Houston, wife of the island’s Administrator on May 15, 1923. With a free grant from the Carnegie Foundation, the library was completed in June 1924 under the supervision of one Mr. Lilburn E. Lawrence. It was originally called the Carnegie Free Library because Mr. Andrew Carnegie of the Carnegie Foundation funded the construction with a grant of £2,500. The first building miraculously escaped the 1927 Castries fire, but the 1948 Castries fire gutted the interior of the building and over 20,000 books were destroyed. After the fire, the library was rebuilt using the same old walls. 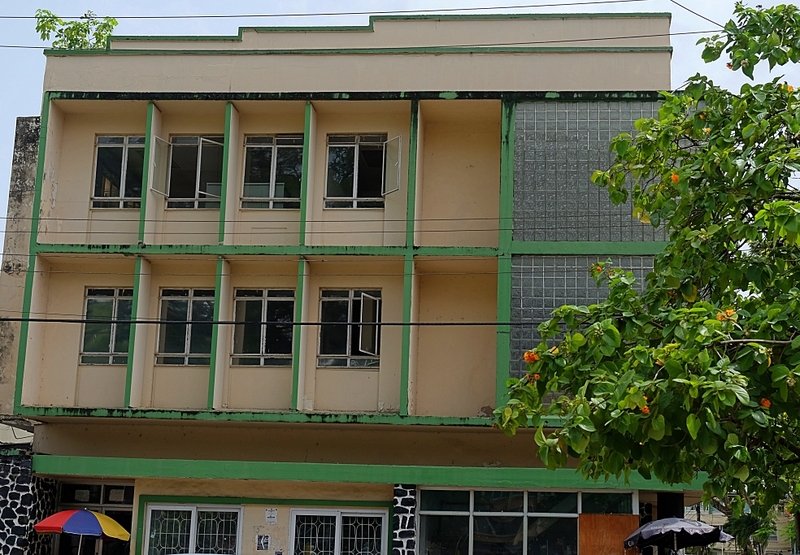 The Central Library is not only a historic building in the city of Castries, but it is also a landmark in the political history of the city and St. Lucia, having caused 14 years of dispute over its location. Sadly, it is currently closed due to mould. You’ll likely notice the huge tree with elegant limbs that stretch far out above you. This is an ancient Samaan Tree, believed to be 430+ years old. There’s an old story about the early days of tourism when a visitor asked their guide what type of tree this was. The guide replied ‘Masav’ which means ‘I don’t know’ in Kwéyòl, but the visitor, not realising, reported it as being called the Masav tree…a name that most of us jokingly still call it today. Apparently, the Pope uttered as short prayer over 18-month-old Kevin Jerome, who doctors believed terminally ill and unable to walk. The next day, the boy’s mother recounted that Kevin he was well and began walking. 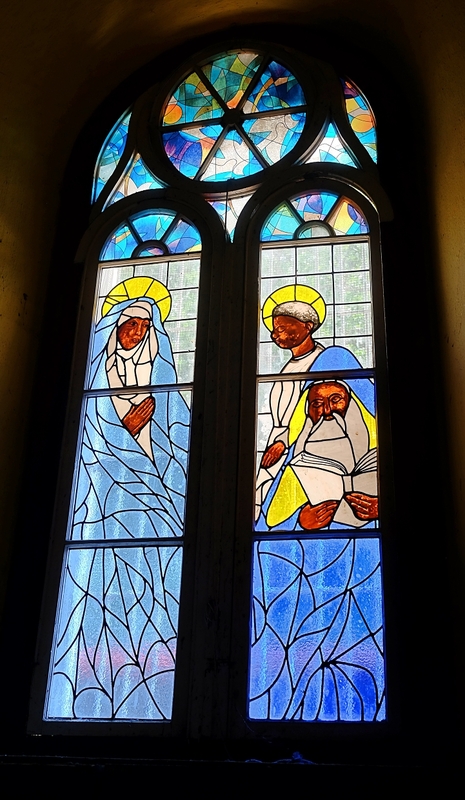 The interior is adorned by a mural painted by Saint Lucian artist the late Sir Dunstan St. Omer. Sir Dunstan is the designer of the Saint Lucia flag which depicts elements of the island’s motto, ‘The Land, The People, The Light’. After leaving the Cathedral, head across to Brazil St and spend some time enjoying the buildings that have been restored and recreated in the old ‘french’ style. Then head towards, ‘the back of town’. 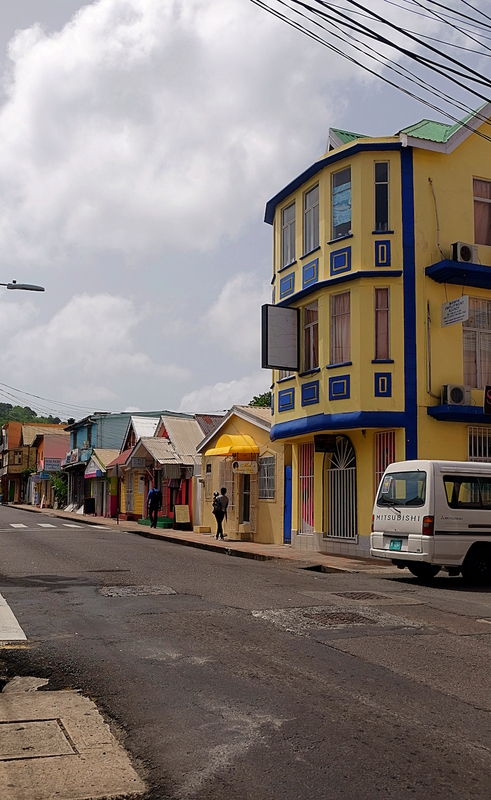 This street, like many others, bustles with ‘speculator’ shops – little boutiques that traditionally travel to buy goods to resell in Saint Lucia. Along this road, you’ll pass the Ave Maria Primary School on your left. 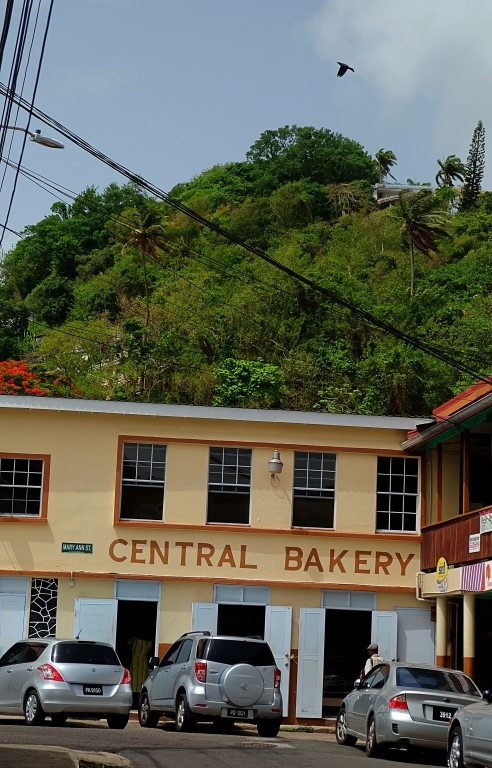 A slight side-step takes you down to the end of Peynier St. where it turns into MaryAnn St. – in this corner is Central Bakery – also known as Amur Bakery after its founder. If you’d like a peak into local bakery culture, pop in…don’t expect queues, signs or prices displayed and be prepared for the rough n tumble of this busy shop. Typically, bakeries serve their regular customers first, so sometimes you may see someone pop in and be attended to before you…don’t be ‘vex’ (annoyed), that’s the way it is! With or without bread in hand…head back to Brazil Street and walk all the way up to the top, turn right onto the Chausee Rd and you’ll easily pick out the sparkling yellow house a short distance away on the other side of the road, on the junction with Grass St.…you will now have reached your destination, the Walcott House. Entrance is free to this mini-museum but donations are welcome. You might find original sketchbooks from Sir Derek’s plays or original notes from Roddy’s plays, paintings by Sir Derek’s son Peter, family photos and other mementos. 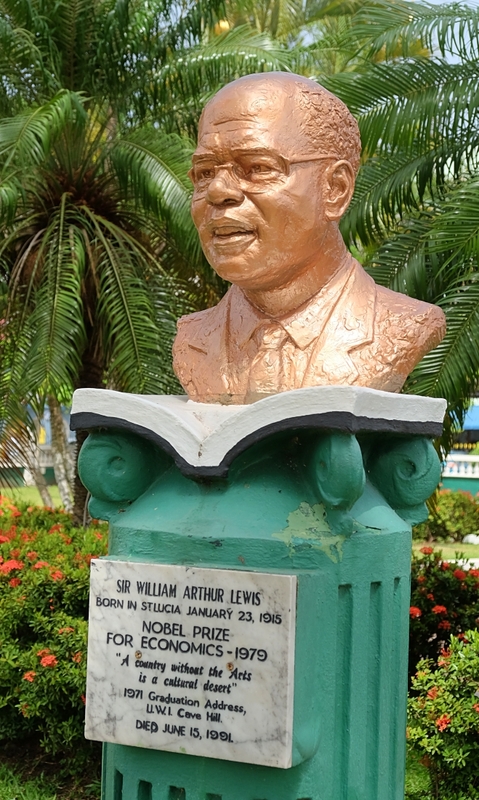 Upstairs, you can view one or two short documentaries on these two favourite sons of Saint Lucia. 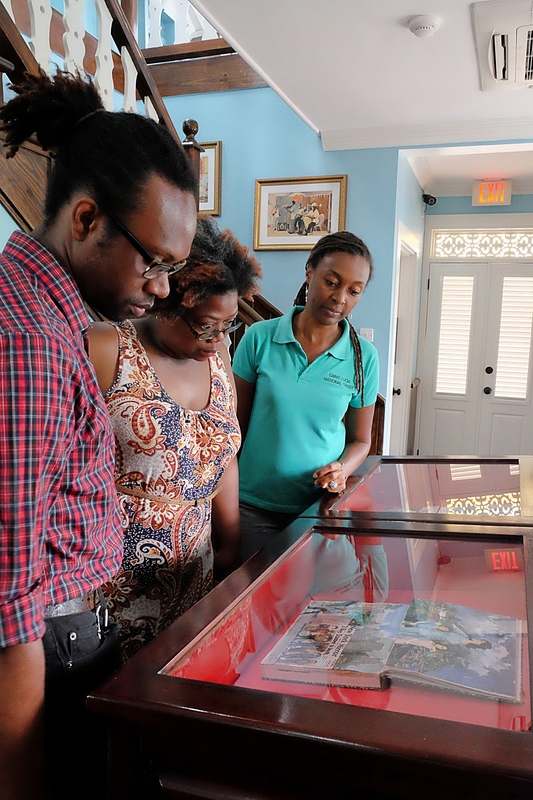 Currently an exhibition chronicalling the 1948 Castries Fire is on display.